Vivanco, Laura, 2003. ‘Calisto, his Falcon, and the Ape: the Iconography of the Sanguine in Celestina?’, in Proceedings of the Twelfth Colloquium, ed. Alan Deyermond & Jane Whetnall, Papers of the Medieval Hispanic Research Seminar, 35 (London: Dept of Hispanic Studies, Queen Mary, University of London), pp. 89-100. A pdf version can be downloaded from this website. Since I was unsure whether I had the right to make the illustrations available too, I have not included them in the pdf. I have, however, been able to locate similar images which are available elsewhere, and links to them are included below. Since the pdf is not searchable, I have also made a text version available below. I have tried to keep the layout and formatting of the latter as close as possible to that of the original. Calisto, his Falcon, and the Ape: The Iconography of the Sanguine in Celestina? 1 Martín de Riquer suggested that Sempronio’s words about a ‘girifalte’, ‘fueron tal vez lo que sugirió a Rojas el tema del halcón’ (1957: 390). María Rosa Lida de Malkiel suggested that both the ‘neblí’ and the ‘girifalte’ might have been added by Rojas (1962: 201). Vicenta Blay Manzanera and Dorothy S. Severin feel that the ‘scene-setting seems to have been the work of Rojas’ (1999: 9). 2 All my quotations from Celestina are taken from Rojas 1987, and are followed by the page-number in parentheses. 3 For the symbolism of the ‘neblí’ see F. M. Weinberg (1971: 137-138), Miguel Garci-Gómez (1987), and Blay Manzanera & Severin (1999: 9-10). Lida de Malkiel (1962: 201), Charles Faulhaber (1977), E. Michael Gerli (1983), and Donald McGrady (1988 and 1993) find parallels between Calisto’s ‘neblí’ and lost hunting-birds in other works of literature. I examine the relationship between the ‘nebli’ and other birds in Celestina in Vivanco 2002. H. W. Janson (1952) discusses the ape as a symbol of lust, as well as many other aspects of ape lore. share a similar sexual symbolism and are both associated with Calisto. That symbolism is particularly appropriate for a sanguine, since this humoral type was thought to be moist and hot, characteristics which resulted in men who ‘desire much and are capable of much’ (Jacquart & Thomasset 1988: 143). Calisto’s sexual prowess, confirmed by the admiring Tristán, ‘Oygo tanto que juzgo a mi amo por el más bienaventurado hombre que nasció; y por mi vida, que aunque soy mochacho, que diesse tan buena cuenta como mi amo’ (285), coincides with that of the sanguine and makes the lustful associations of the ape and the falcon appropriate for him. An even closer link between the ape, the falcon, and the sanguine is to be found in medieval humoral iconography. Unlike the bestiaries, which do not associate the two creatures, humoral iconography often represented the sanguine personality as a man accompanied by an ape and a hunting bird.4 Birds, as noted in Blay Manzanera & Severin’s ‘Register of Animals’ (1999: 33) were associated with the element ‘air’, as were sanguines (Jacquart & Thomasset 1988: 49). In ‘the fifteenth and sixteenth centuries the metaphoric use of "ape" to denote being drunk or getting drunk became established on the Continent’ (Janson 1952: 247) and Alberto M. Forcadas has therefore suggested that the ‘ximio’ mentioned in Celestina could be a reference to ‘"mona", palabra que figurativamente se usaba […] con sentido de "borrachera"’ (1973-74: 567-68).5 Although the ape could connote drunkenness in general, it was also more specifically linked to the sanguine. An individual’s humoral type was thought to be discernible from behaviour when drunk (Janson 1952: 241-48) and ‘The Calendrier des Bergers, published by Guyot Marchand in 1493, informs us that […] the Sanguine "has vin de singe, the more he drinks the gayer he becomes and pursues the ladies"’ (Janson 1952: 248). 4 I have found no association between the ape and the falcon in the bestiary section of the Castilian translation of Brunetto Latini’s Livre dou Tresor (Bestiary 1982) nor is any mentioned by Wilma George & Brunsdon Yapp (1991), who paid particular attention to the illustrations of about forty English bestiaries. 5 Forcadas’s other hypothesis, namely that that ‘ximio’ refers to a Jew, is, as he himself admits ‘más esotérica’ (1973-74: 568). 6 This was published in Paris by Jean Dupré (Janson 1952: 249). An almost identical illustration is the ‘Planet Man with Temperaments, from Pigouchet Horae, end 15th cent.’ (Bober 1948: Plate 5e). 7 This was printed in Paris (Klibansky, Panofsky, & Saxl 1964: xiv, plate 82). The illustration in the Heures à l’usage de Rome, printed around 1500 in Hardouin (Blum 1983: plate VII) differs from this primarily in its reversal of the positioning of the types: the sanguine appears in the top left, the choleric in the top right, the melancholic in the bottom left and the phlegmatic in the bottom right. 8 See Klibansky, Panofsky & Saxl 1964: plates 77, 78, 80, 81, 85, 90a for alternative fifteenth-century depictions of the sanguine. Plates 78 and 90a do, however, include a hunting bird, while plate 85 depicts the sanguine displaying his amorous tendencies. vention in the Spanish liturgical field’ of printing was ‘considerable in the fifteenth century’ (1966: 135) and we can be certain that at least one printer based in the peninsula, Baltasar Avella at Gerona, had come into contact with a copy of Pigouchet’s Heures since in the opening years of the sixteenth century he used details from it in some of his own texts (Norton 1966: 97-98).10An indication that French printers were aware of a market for their Heures in Spain is that they also produced editions in Castilian. Of the six pre-1500 editions of Castilian Horas listed by Hanns Bohatta, five are Parisian (1924: 62). The ape and the falcon might also be used in a situation where a lover was being duped or ridiculed. The ape, either accompanying or mimicking the lover, had long been used to burlesque courtly love (Janson 1952: 261-62). 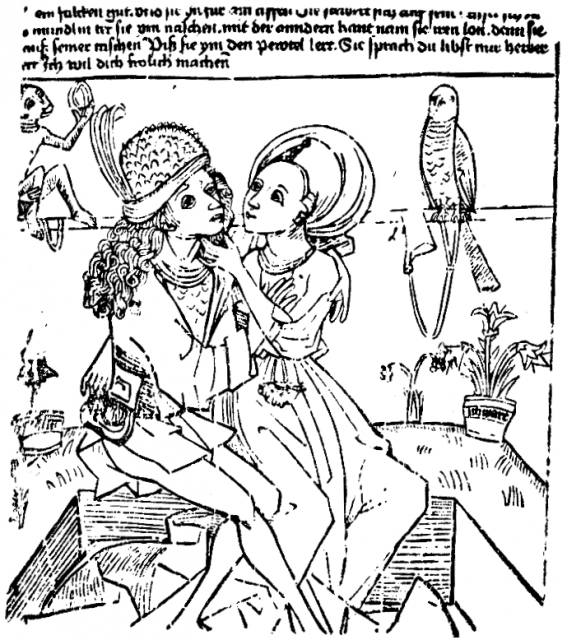 One German woodcut of an amorous couple, dating from c.1480, shows a young woman picking her lover’s pocket (Janson 1952: 263, see illustration 4). The ape which surveys the scene ‘brands the youth as a vain fool deprived of all elementary foresight by his amorous desire’ (Janson 1952: 262). The picture also contains a falcon, ‘perhaps in order to indicate that the young man has a sanguine temperament, predisposing him to dalliance’ (Janson 1952: 277n) and the setting for the scene includes flowers and grass, presumably indicating a garden. These are elements present in Celestina, for although Melibea only indirectly causes Calisto to lose money, she meets with him in her garden and Celestina, Sempronio, and Pármeno most certainly have designs on his purse: Celestina skilfully extracts both cash and goods and Sempronio and Pármeno pilfer his larder. It would seem that Calisto is no wiser than the lover in the German woodcut. Antoine Vérard (Incunables 1989: 468-69). It also lists a copy of the Compost et calendrier des bergiers printed by Marchant in 1496/97 and a Compost et calendrier des bergères, by the same printer, from 1499 (1989: 267). The copy of the Compost et calendrier des bergères is in the library of the Universidad Complutense and can be viewed online at http://www.ucm.es/cgi-bin/show-libros. It does not contain an illustration of the four humoral types. 10 Three of the texts printed by him contain ‘a number of profusely employed metal-cut border-pieces, with grotesque and other figures on a powdered ground, which are exactly copied from material used in the Horae of the Parisian printer Pigouchet’ (Norton 1966: 98). 11 All my quotations from the Arcipreste de Talavera are taken from Martínez de Toledo 1979, and are followed by the page-number in parenthesis. 13 Martínez de Toledo does not state that these women are aware of their beloved’s dominant humour or its implications for them: if they were, they would perhaps be better able to avoid the dangers of loving a sanguine. Rather they are drawn to sanguines because of their inherent characteristics, ‘como las mugeres se paguen de ombres alegres e amadores e enamorados’ (214). whether or not he would have fallen out of love, but Patricia Grieve notes that although ‘Calisto […] cannot live without the love of Melibea […] his ardor cools noticeably when Melibea gives in to his sexual advances’ (1987: 46).15 Areúsa’s somewhat ambiguous comment ‘No sé qué se ha visto Calisto porque dexa de amar otras que más ligeramente podría aver’ (228) may suggest that his devotion to one woman is uncharacteristic or simply that he has aroused that ‘pura envidia’ described by the Arcipreste. At very least, Areúsa thinks of Calisto as a potential client. Lacarra ascribes her outburst to the fact that she sees in Melibea ‘una rival en el negocio’ (1990: 91). carra Lanz believes that it is the reciprocation of his love and the promise of further favours which begins to cure Calisto of amor hereos: ‘la terapia comienza a funcionar’ (1999: 21). The two explanations are not necessarily incompatible: such hopes alone might not have had the same effect on a lover who, as a result of his different humoral make-up, had been more profoundly affected by the disease. 15 Sempronio’s observation that ‘todo se olvida, todo queda atrás. Pues assí será este amor de mi amo: quanto más fuerte andando, tanto más diminuyendo’ (141) would reinforce this supposition, but as he is saying this in the context of Celestina’s mention of danger to the servants it is possible that Sempronio speaks more to reassure himself than from a real knowledge of Calisto’s character. 16 The probability is even greater if Rojas counted among his associates ‘Francisco Villalobos, médico del rey español a partir de 1509’ (Illades Aguiar 1999: 11), who, Stephen Gilman believed, might have been ‘a member of La Celestina’s Salamancan circle of auditors’ (1972: 348). Illades Aguiar suggests that both Rojas and Villalobos formed part of a group whose literary works ‘habrían derivado de un amplio coloquio entre estudiantes asociados’ (1999: 11). Barbera, Raymond E., 1970. ‘Medieval Iconography in the Celestina’, Romanic Review, 61: 5-13. Bestiary, 1982. The Medieval Castilian Bestiary from Brunetto Latini's ‘Tesoro’: Study and Edition, ed. Spurgeon Baldwin, Exeter Hispanic Texts, 31 (Exeter: Univ.). Blay Manzanera, Vicenta, & Dorothy S. Severin, 1999. 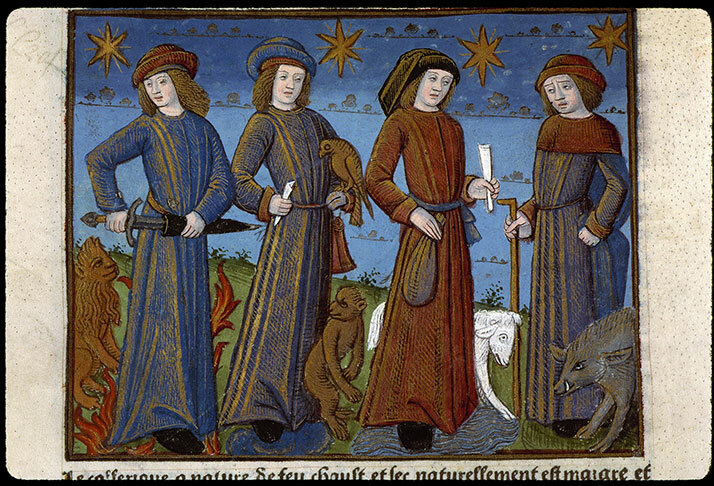 Animals in ‘Celestina’, PMHRS, 18. Blum, Claude, 1983. ‘La folie et la mort dans l’imaginaire collectif du Moyen Âge et du début de la Renaissance (XIIe –XVIe siècles): positions du problème’, in Death in the Middle Ages, ed. Herman Braet & Werner Verbeke, Mediaevalia Lovaniensia, 1.9 (Leuven: UP), pp. 258-85. Bober, Harry, 1948. ‘The Zodiacal Miniature of the Très Riches Heures of the Duke of Berry: Its Sources and Meaning’, Journal of the Warburg and Courtauld Institutes, 11: 1-34. Bohatta, Hanns, 1924. 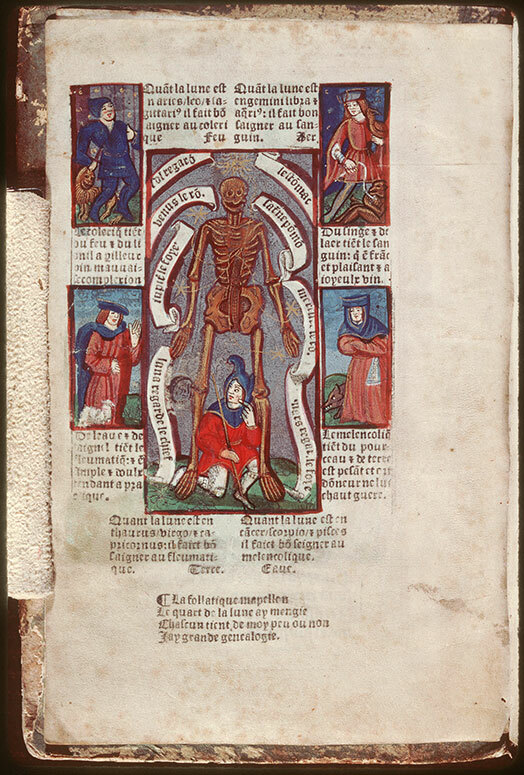 Bibliographie der Livres d’Heures (Horae B. M. V.), Officia, Hortuli Animae, Coronae B. M. V., Rosaria und Cursus B. M. V. des XV. und XVI. Jahrhunderts (Wien: Gilhofer & Ranschburg). Cárdenas, Anthony J., 1988. ‘The "conplisiones de los onbres" of the Arcipreste de Talavera and the Male Lovers of the Celestina’, Hispania (USA), 71: 479-91. Castells, Ricaedo, 2000. Fernando de Rojas and the Renaissance Vision: Phantasm, Melancholy, and Didacticism in 'Celestina' (University Park: Pennsylvania State UP). Faulhaber, Charles B., 1977. ‘The Hawk in Melibea’s Garden’, HR, 45: 435-50. Forcadas, Alberto M., 1973-74. ‘Otra solución a "lo de tu abuela con el ximio" (Aucto 1 de La Celestina)’, RN, 15: 567-71. Fraker, Charles F., 1993. ‘The Four Humors in Celestina’, in Fernando de Rojas and ‘Celestina’: Approaching the Fifth Centenary: Proceedings of an International Conference in Commemoration of the 450thAnniversary of the Death of Fernando de Rojas, Purdue University, West Lafayette, Indiana, 21-24 November 1991, ed. Ivy A. Corfis & Joseph T. Snow (Madison: HSMS), pp. 129-54. 17 My thanks to Louise M. Haywood for reading earlier versions of this paper, to Eukene Lacarra Lanz for some bibliographical suggestions, to Anthony J. Cárdenas for sending me a copy of his article, and to those present at the Colloquium whose comments I have taken into account in revising this paper. Garci-Gómez, Miguel, 1987. ‘Ascendencia y trascendencia del neblí de Calisto’,Revista de Literatura, 49: 5-21. George, Wilma, & Brunsdon Yapp, 1991. The Naming of the Beasts: Natural History in the Medieval Bestiary (London: Duckworth). Gerli, E. Michael, 1983. ‘Calisto’s Hawk and the Images of a Medieval Tradition’, R, 104: 83-101. Gilman, Stephen, 1972. The Spain of Fernando de Rojas: The Intellectual and Social Landscape of ‘La Celestina’ (Princeton: UP). Green, Otis H., 1956. ‘"Lo de tu abuela con el ximio" (Celestina, Auto I)’, HR, 24: 1-12. Grieve, Patricia E., 1987. 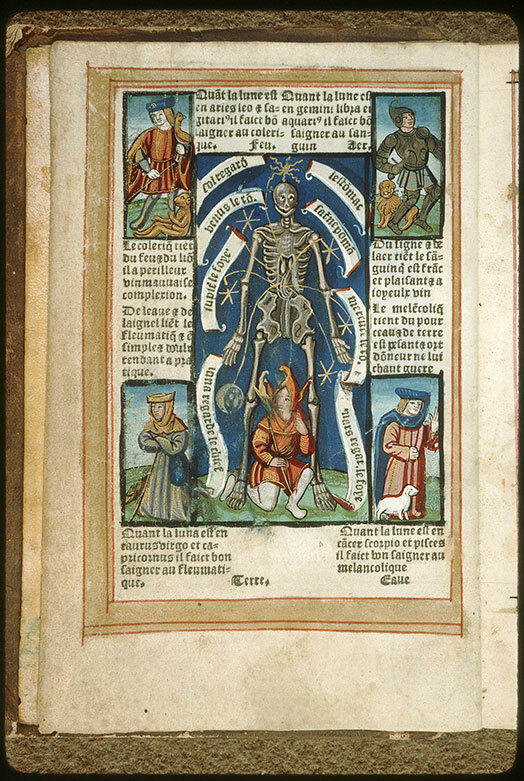 Desire and Death in the Spanish Sentimental Romance (1440–1550) (Newark, DE: Juan de la Cuesta). Illades Aguiar, Gustavo, 1999. ‘La Celestina’ en el taller salmantino, Publicaciones Medievalia, 21 (México: Instituto de Investigaciones Filológicas, UNAM). Incunables 1989. Catálogo general de incunables en bibliotecas españolas, I (Madrid: Ministerio de Cultura, Dirección General del Libro y Bibliotecas). Jacquart, Danielle, & Claude Thomasset, 1988. Sexuality and Medicine in the Middle Ages, tr. Matthew Adamson (Cambridge: Polity Press). Janson, H. W., 1952. Apes and Ape Lore in the Middle Ages and the Renaissance, Studies of the Warburg Institute, 20 (London: Warburg Institute). Klibansky, Raymond, Erwin Panofsky, & Fritz Saxl, 1964. Saturn and Melancholy: Studies in the History of Natural Philosophy, Religion and Art (London: Thomas Nelson). Lacarra, María Eugenia (Eukene), 1990. Cómo leer ‘La Celestina’, Guías de Lectura Júcar, 5 (Madrid: Júcar). —, 1999. ‘Calisto y el amor hereos’, Ínsula, 633: 20-22. Lida de Malkiel, María Rosa, 1962. La originalidad artística de ‘La Celestina’ (Buenos Aires: EUDEBA). McGrady, Donald, 1988. ‘The Hunter Loses his Falcon: Notes on a Motif from Cligés to La Celestina and Lope de Vega’, R, 107 (1986 ), 145-82. —, 1993. ‘Calisto’s Lost Falcon and its Implications for Dating Act I of the Comedia de Calisto y Melibea’, in Letters and Society in Fifteenth-Century Spain: Studies Presented to P. E. Russell on his Eightieth Birthday, ed. Alan Deyermond & Jeremy Lawrance (Llangrannog: Dolphin), pp. 93-102. Martínez de Toledo, Alfonso, 1979. Arcipreste de Talavera o Corbacho, ed. Michael Gerli, LH, 92 (Madrid: Cátedra). Norton, F. J., 1966. Printing in Spain 1501-1520, with a Note on the Early Editions of the ‘Celestina’ (Cambridge: UP). Riquer, Martín de, 1957. ‘Fernando de Rojas y el primer acto de La Celestina’, RFE, 41: 373-95. Rojas, Fernando de, 1987. La Celestina, ed. Dorothy S. Severin with Maite Cabello, LH, 4 (Madrid: Cátedra). Rowland, Beryl, 1973. Animals with Human Faces: A Guide to Animal Symbolism (Knoxville: University of Tennessee Press). Vivanco, Laura, 2002. ‘Birds of a Feather: Predator and Prey in Celestina’, Cel, 26: 5-27. Weinberg, F. M., 1971. ‘Aspects of Symbolism in La Celestina’, Modern Language Notes, 86: 136-53. 4. A German woodcut, c. 1480. After I placed this essay online I was sent details concerning two more essays, both of which are also available for download, that mention the relationship of Calisto's 'abuela con el ximio'. The first of these is Frank Domínguez's 'Monkey Business in Carajicomedia: The Parody of Fray Ambrosio Montesino as "Fray Bugeo"', eHumanista 7 (2006): 1-27, which includes a discussion of 'The association of the sin of Luxuria with an ape or monkey' (10). The second is Samuel G. Armistead, James T. Monroe, and Joseph H. Silverman's 'Was Calixto's Grandmother a Nymphomaniac Mamluk Princess? (A Footnote on "Lo de tu abuela con el ximio" [La Celestina, Aucto 1])', eHumanista 14 (2010): 1-23.